For generations, the aboriginals living in the area around Groundhog lake believed that the white moose were sacred animals. They made their beliefs very clear to anyone moving into the area. About 50 years ago, the Armstrong family moved to Groundhog Lake (which is about 70 kilometers west of Timmins or 30 kilometers east of my home town, Foleyet) and shortly after the Armstrong girls had their first encounter. 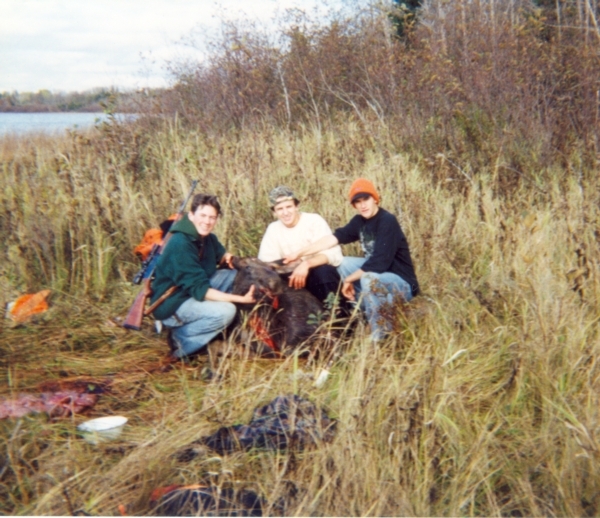 Jane Armstrong and her sister were (and still are) avid hunters, anglers, and trappers. The girls first encountered a white moose while checking their trap line. Since this encounter, they have been fighting the Ministry of Natural Resources to protect the animals, a battle lasting over 40 years. The girls set up their moose hunting blinds in the areas most often visited by the white moose. They had no intention to harvest them, but rather to keep out other hunters that might. Jane had numerous articles published in local newspapers advocating for the protection of these animals, but with no measure of success in regards of legislation. As fate would have it, my sister Jenna wrote an article for her 3rd year biology class outlining why the animals should be protected according to international and domestic guidelines. She soon after sent the report to the Timmins Daily Press, who indicated that they may make some minor note of the paper, tucked deep away in their weekend paper. As it turned out, the following weekend was evidently devoid of any "newsworthy" material, so they published a full page article with color photograph on the front page of their paper. The Timmins Daily Press is owned by Osprey Group media, which owns newspapers all over Canada. 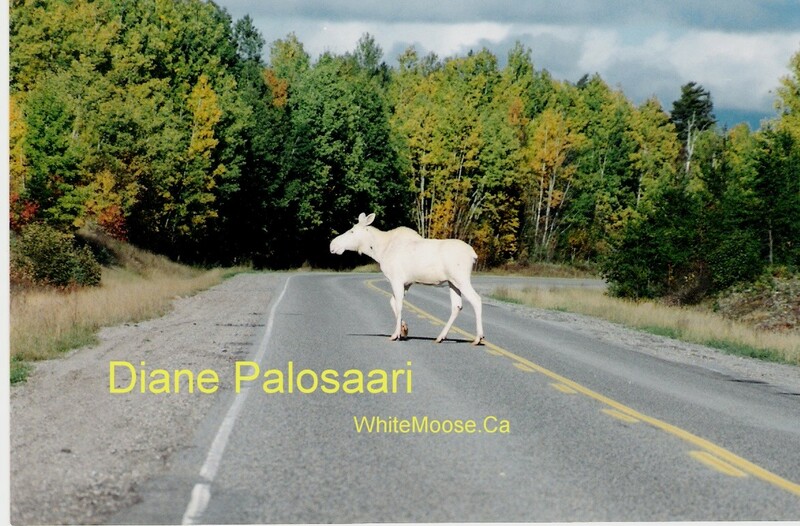 Therefore, the news of a university student fighting to save the white moose spread and was published in nearly every province within a week. The highlight of Canadian newspaper articles occurred when the Toronto Star published a story, scorning the Ministry of Natural Resources for failing to protect these animals. The main thrust was that hunting of the white moose in the area was artificially reducing their numbers below what would be found in nature. It effectively countered the MNR argument that legislation protecting them would be artificial selection. The story was also published in the United States in several outdoor magazines. The phone calls, emails, and letters began to pour in with the huge amount of media attention the issue was receiving. The cascading media attention enticed CBC national radio and they soon called to schedule live radio shows. There have been at least half a dozen live national radio shows on the subject during the last 18 months. Radio and newspaper attention drew the focus of television companies, and the story was broadcasted to both French and English audiences, though I don't believe it extended beyond Northern Ontario. With so much media attention, the public began to demand the protection of these animals, but the Ministry of Natural Resources refused to take any action. Earlier correspondences with officials as high as the minister indicated that the organization would not protect the white moose strain, due to the belief that their genetically alterations rendered them less capable to survive in the wild. However, an older study performed by an MNR biologist proved that these animals have a similar life span to brown moose. Presumably, a white coat would not be a disadvantage during the warm summer months because carnivorous animals are hunting by scent. In addition, they would be less prone to disease by fly-bite as biting insects of the north are most attracted to the color black and least attracted to the color white. During the half dozen winter months when scent doesn’t carry, animals like wolves would be forced to hunt by sight alone, and a white coat would actually be an advantage. 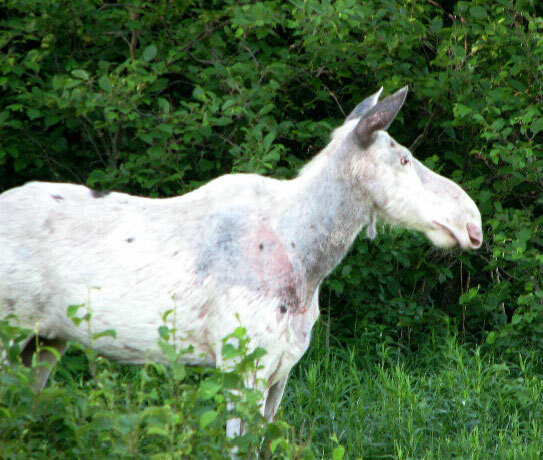 Also interestingly, photo's of the white moose from the spring months when the animals are molting (such as the one attached which was found at the MNR website) reveal that the animals have nearly black skin (similar to polar bears) under their white coats. The drive to protect the animals lacked organization, but certainly not support. To organize the effort, we decided that a website should specifically be built for the protection effort. A friend and I agreed to split cost of creating the website. It initially looked terrible, but was generally well received by the public. Maybe they understood that a no money lobby group was behind the effort, or maybe they were just happy to see someone working towards the goal. 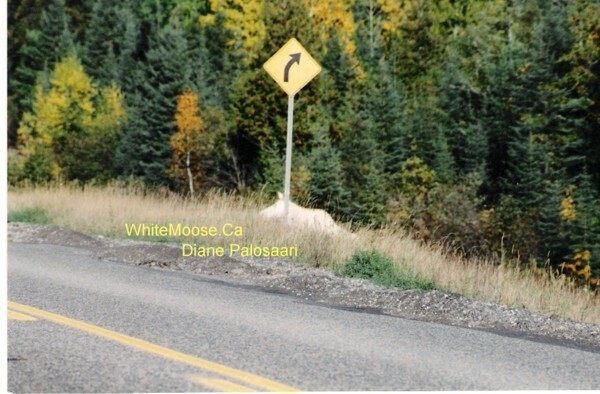 On the website, I posted nearly every piece of information I could possibly find on the white moose, with the intention of facilitating an educated debate. To make the website more interactive and allow visitors to post their comments, a guest book was created. Forums and other guest books were also created as time passed to add precision to the effort, and attempt to better bring people together and develop ideas and arguments. In addition to creating my own forums, I opened up accounts on more than 30 hunting and fishing forums, to bring the debate to those with an interest in the matter. 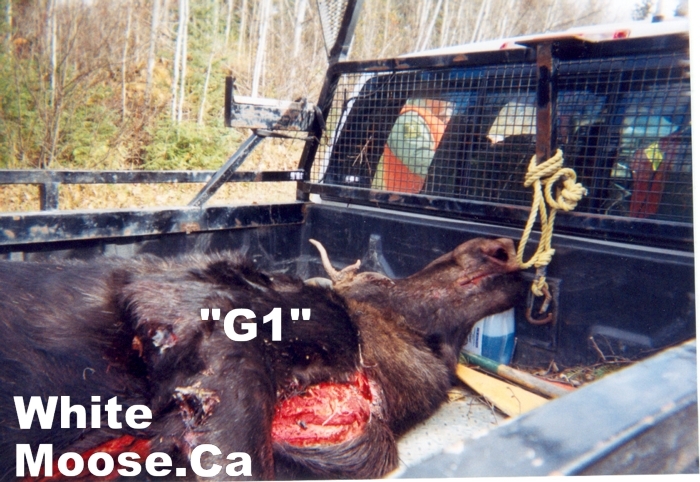 Had it not been for the fact that most of the individuals pushing hardest for the protection legislation were themselves moose hunters (including myself), the attempt would have been flatly rejected as another anti-hunting movement. However, the fact that my family, which is entirely financially dependent on hunting and fishing for a livelihood, was lobbying to have the animals protected from hunting raised the curiosity levels in hunters across North America and in some international forums. Aside from the website, I organized sit down town meetings, which I (by default because no one else wanted to) ended up directing. We even convinced the local MNR to host an information session on the subject. I indicated that I desired to make a documentary of the meeting, but was told that the MNR would not be participating in the PUBLIC meeting if I was taping it. During the meeting, it was very clear that the MNR had absolutely NO interest in protecting the animals and that we would have to lobby very hard to have anything accomplished. It was decided that the media, among other mediums, would be key to getting the subject in front of the public. I took email addresses of all those that attended the meetings and followed up the meetings with progress reports. Realizing the power of email, I soon after began to collect email addresses from many sources. I began to forward on these progress reports not only to those attending the meetings but to every other email address I could find. 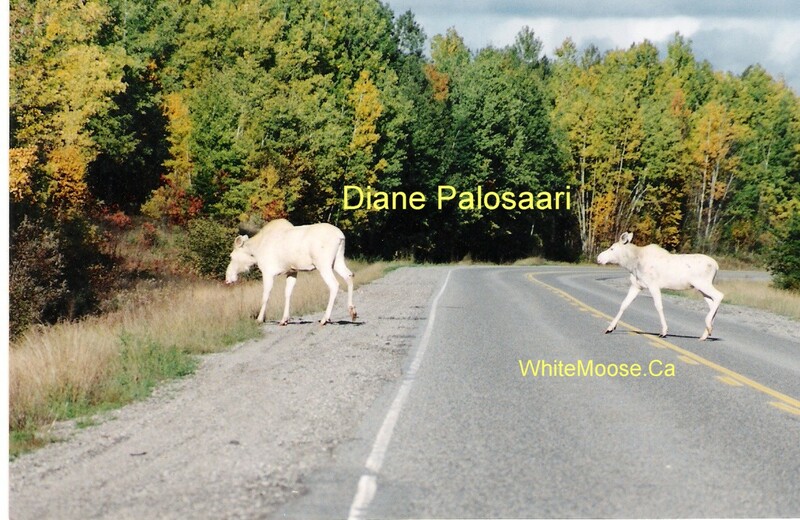 I tried to include pictures of white moose with every email with the hope that those receiving the message would enjoy either the pictures or the information enough to forward the message on to their friends. The emails became a monthly routine (or sometimes bi-monthly if things were proceeding quickly) and very few people indicated their desire to be removed from the mailing list (less than half a percent). The email campaign was doing well and within a year of opening the website, we had received over 30,000 hits and was indexed on every major search engine. The content was extremely unique and links from other websites began to appear. The major attention the issue was receiving on the internet did wonders, but I believe other forces played a greater role in the protection effort. 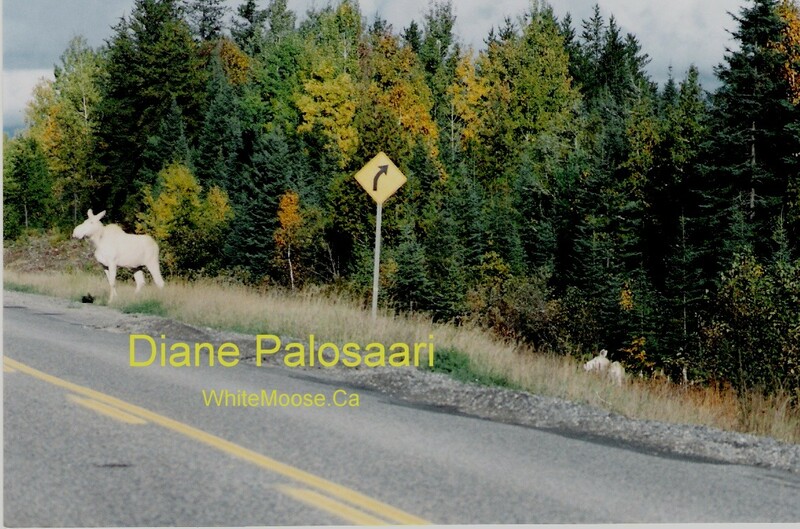 Private individuals and companies wishing to help were sent information packages (again from personal funds) which contained a petition for members of the public to sign, pictures, and a 10 page report on background information about the white moose. In a little over two months, over 4,000 signatures were collected from Northern Ontario, but the MNR refused to take possession of the petitions when requested to do so. However, the presence of the petitions in so many locations across the north served their purpose and again spread publicity to the matter. Bumper stickers and coffee mugs were also created to publicize the matter in store fronts and highways of the area, though most of the bumper stickers were given away and the majority of these costs were not recovered. The Foleyet Chamber of Commerce was finally convinced of the economic value of the animals, if protected from hunting and allowed to increase in numbers, and began writing our local politicians. 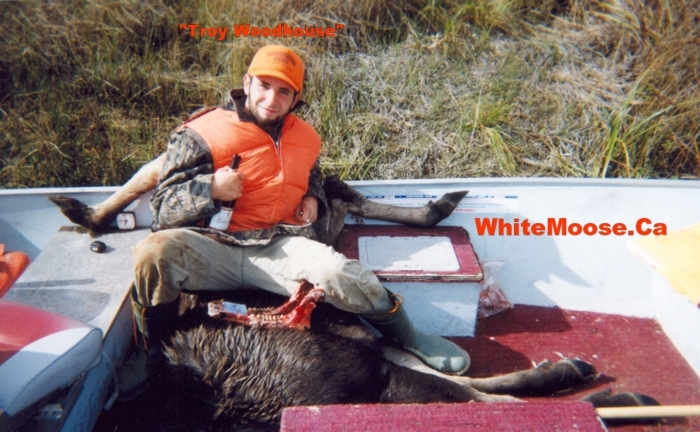 The city of Timmins also took notice and called upon other municipalities to formally support their proposal to remove the white moose in our area from the hunting roster. As municipalities across Ontario signed on and formally endorsed the legislation, the MNR took notice. Municipalities formally petitioning the MNR to support the protection effort included Cochrane, Timmins, Foleyet, Temiskaming Shores, Hudson, Huron Shores, Moosonee, St. Joseph Island and many others. At the same time as the municipalities were endorsing the legislation, aboriginal groups such as the Metis Nation of Ontario (believe this was the group) formally petitioned the MNR to protect the animals. The chiefs from most of the major aboriginal tribes in the area also formally petitioned the MNR to protect the animals as they had spiritual significance. Surprisingly, the Ontario Federation of Anglers and Hunters (OFAH) lobbied the MNR, but against the legislation. Rather than recognizing the increased potential for hunters at a later date if proper conservation measures are now implemented, they labeled the effort as an anti-hunting effort. 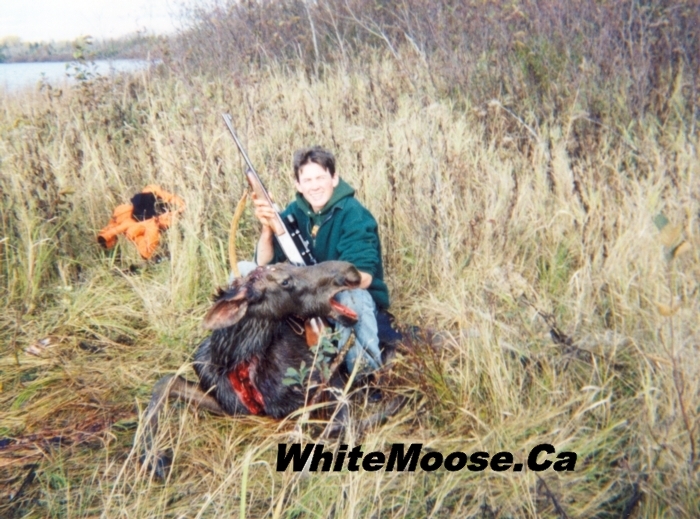 The Northern Ontario Tourist Outfitters Association (NOTO) took a more subtle form of opposition, by simply failing to endorse the white moose hunting ban. All correspondence with the organization indicated that they strongly opposed any such legislation and also labeled it as advocating anti-hunting. I found it odd that a group allegedly advocating for tourism in Northern Ontario would oppose an initiative such as protecting the white moose which could greatly boost tourism employment opportunities in Northern Ontario. Letters requesting support were also sent to a variety of other groups including the World Wildlife Fund, groups representing the "Spirit Bears" of B.C., and Green Peace but no supporting correspondence was ever received from these groups. The matter had taken a political face, and the MNR was seemingly bullied into action. I believe that fear of political repercussions if the MNR failed to act was a greater driving force than compliance with their own internal mandates to create ECO-Tourism employment opportunities. The mandate to create eco-tourism employment opportunities was largely driven by continual allowance of regional over harvest of timber (leading to high unemployment), again contrary to internal mandates and legislation such the Crown Forest Sustainability Act (CFSA). Likewise, I don't believe that the decision was driven by the desire to protect genetic diversity in Northern Ontario, though it should have been a primary focus. 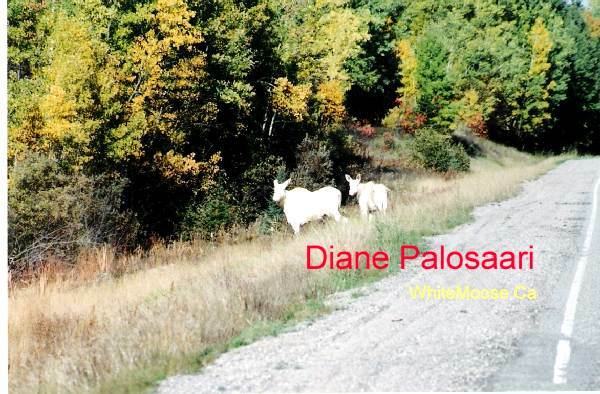 As of November 2005, the MNR publicly announced that they would be passing legislation to protect the white moose of our area in January 2006, though they have yet to release the 2006 hunting regulations. As such, I'm content with the outcome, but rather disappointed by manner in which it was reached and my perceived reasons for passing the legislation. "Where I took them was: I was driving from Timmins to Chapleau, I just crossed Groundhog river. The highway goes uphill a bit and turns to the left. Just past this corner on the left is a yellow corner sign if you're driving back to Timmins. The cow caught my eye as I was passing the sign and since I was doing 80 it took me a while to stop so when I pulled off the road she was just coming up the ditch onto the highway. I always have my camera with me when I travel because you never know what you'll run into. I was lucky that I didn't see her until I drove past because most wildlife are accustomed to hearing traffic but when a vehicle slows down the change in the sound of the engine scares most animals back into the bush. After I took the last picture when they had crossed the highway I wanted them to go into the bush on that side and not run back out onto the highway so I started yelling and doing jumping jacks on the highway. If you notice in that last shot the cow's ears are pointed back. There was a car coming up and she could hear it but was probably wondering what this fool in the middle of the highway was doing. At the last second she ran in the bush and the car came around the corner and there I am doing jumping jacks and waving my arms. Just a little embarrassed! So I jumped in my car and took off before the driver could get a look at me."